One of Stephen King’s most beloved creations, the best-selling novel The Stand, has been ordered straight to series as a 10-episode event—and it’s coming exclusively to CBS All Access. The Stand is a haunting apocalyptic vision of a world decimated by plague and embroiled in an elemental struggle between good and evil. In this world, the fate of mankind rests on the frail shoulders of the 108-year-old Mother Abagail and a handful of survivors, with their worst nightmares embodied in a man with a lethal smile and unspeakable powers: Randall Flagg, the Dark Man. “I read The Stand under my bed when I was 12 and my Baptist parents burned it in our fireplace upon discovery. Incensed, I stole my Dad’s Fed-Ex account number and mailed King a letter professing my love for his work. Several weeks later, I came home to find a box had arrived from Maine and inside were several books, each inscribed with a beautiful note from God himself, who encouraged me in my writing and thanked me for being a fan,” said Writer and Executive Producer Josh Boone. The Stand will be produced by CBS Television Studios. Josh Boone and Ben Cavell will write and executive produce, with Boone also directing. Roy Lee, Jimmy Miller, and Richard P. Rubinstein will also serve as executive producers with Will Weiske and Miri Yoon as co-executive producers and Owen King as producer. 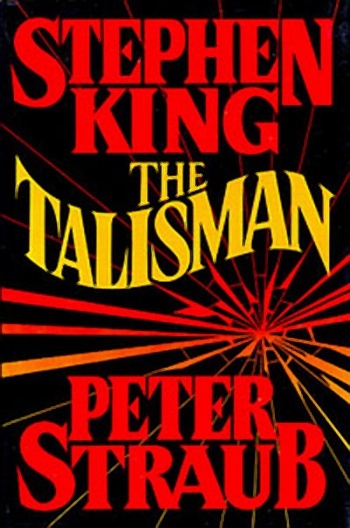 The Fault in Our Stars and New Mutants writer Josh Boone is set to write the big screen adaptation of the Stephen King and Peter Straub novel “The Talisman,”. The novel was released in 1984 and was nominated for both the Locus and World Fantasy Awards in 1985. They wrote a sequel to “The Talisman” called “Black House” in 2001. There is reportedly a third book in the works. The adaptation comes to us from Amblin Entertainment, which had originally been planning the project as a television series. Frank Marshall will produce the film with Michael Wright will executive produce. Boone was writing an adaptation of King’s “The Stand,” though the project was put on hold. King also had him write an adaptation of “The Revival,” which is in development. The Dark Tower and IT are the most recent Stephen King works to be adapted to the big screen. Josh Boone will adapt Stephen King’s Lisey’s Story for the big screen. Lisey’s Story follows the story of Lisey Landon, the widow of famous novelist Scott Landon, as she recalls the life of her husband as she is being stalked and terrorized by one of her husband’s fans. Josh Boone will start adapting the project after filming finishes for The Fault In Our Stars.